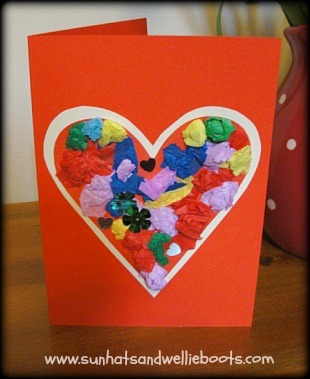 Here's a quick & easy Valentine's gift for someone special. 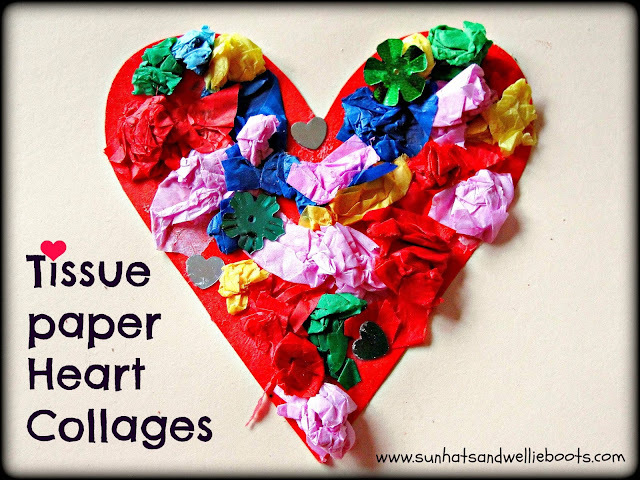 Cut a heart shape out of red paper & cover with glue. 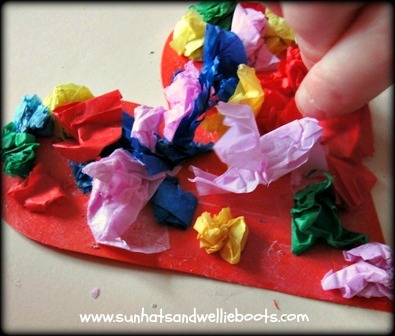 Scrunch up/fold/roll small pieces of coloured tissue paper & add them to the heart. 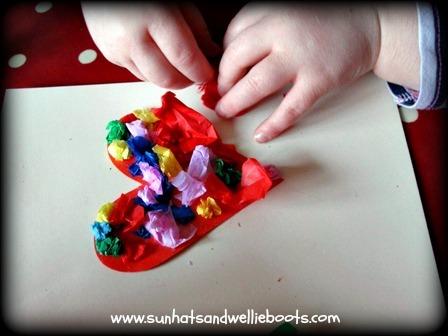 Minnie added more glue & stuck on some sequins to add a little sparkle! 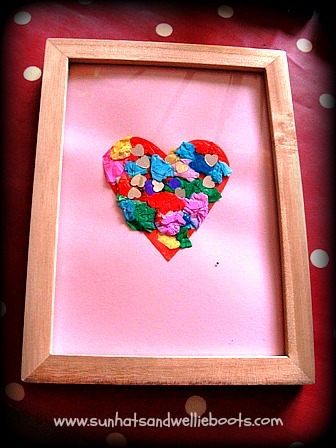 To make a framed heart I glued the heart shape to some pink card, & placed then inside an old photo frame. 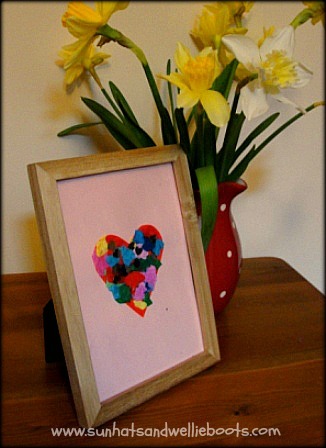 A beautiful gift for Valentine's Day! To turn our collage hearts into Valentine's Cards we did the same as above, but stuck the heart onto some cream coloured card & cut around to make a border. We then glued this to a sheet of red card which we folded in half. 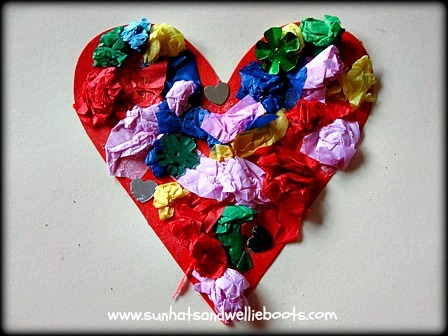 These hearts make beautiful keepsakes, & are fun for children of all ages to design & create.